These stylish chrome plated rollerball pens feature gilt plated fittings and an attractive gilt plated band with Cerruti 1881 brand label. 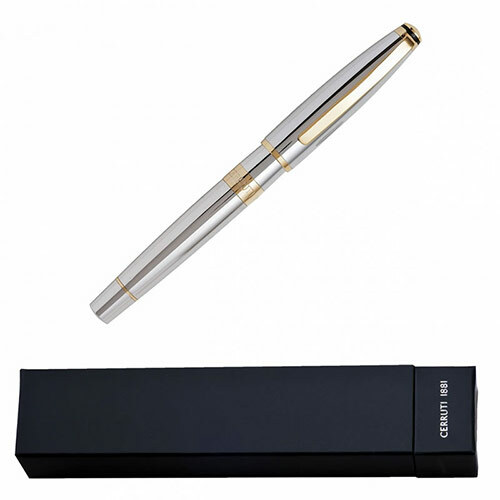 They are supplied with Cerruti branded presentation cases and make a corporate gift with real added value. 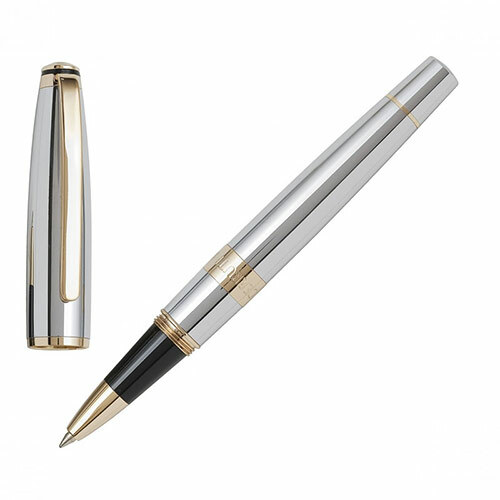 Ideal for engraving, they are offered with FREE ENGRAVING and fixed price UK delivery from Business Gifts Supplier.